Theyre outta here but yours forever! 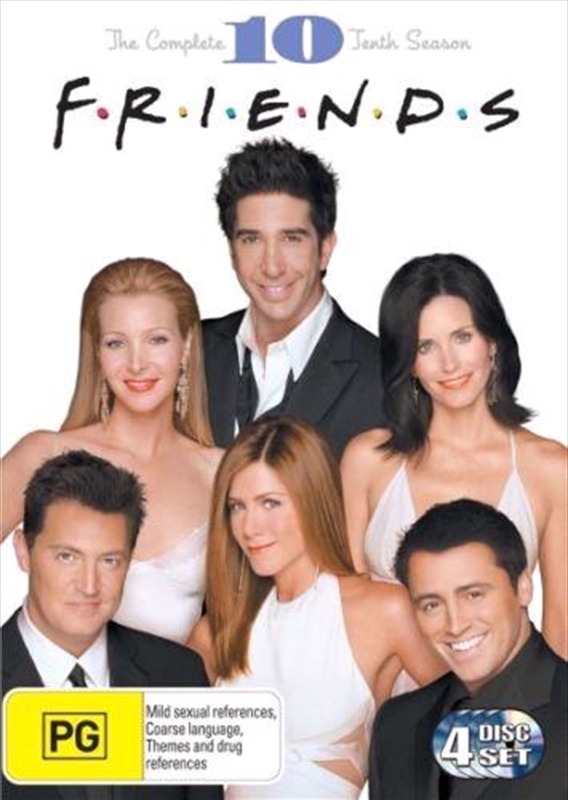 This DELUXE 4-DISC SET OF FRIENDS FINAL SEASON TEN boasts THE FINALE and EXCLUSIVE DVD EXTRAS. Its a splendid sendoff and no Friends collection is complete without it. Includes the episodes The One After Joey and Rachel Kiss, The One Where Ross is Fine, The One With Ross's Grant, The One With Phoebe's Wedding and the Friends Finale double episode!